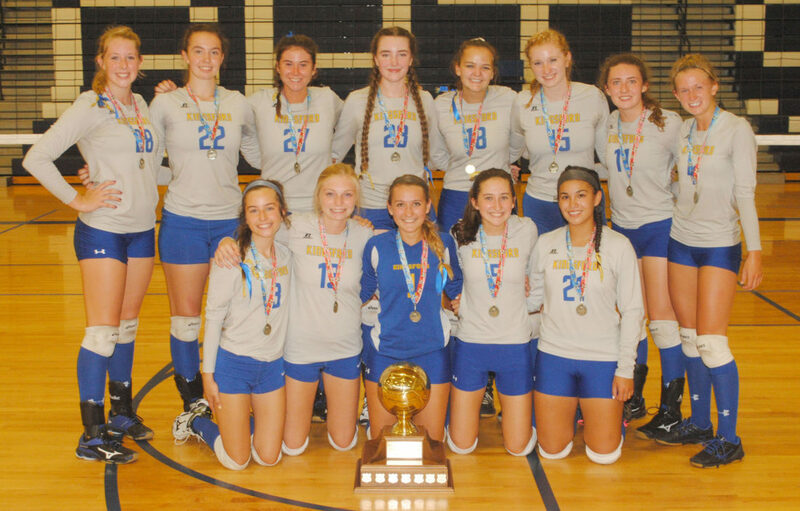 Kingsford defeated Florence in a playoff to capture a fifth Great Eight Classic volleyball title Saturday. The Flivvers, front, from left: Kalli Dooley, Maddy Holmes, Brooke Kriegl, Lexi Roberge and Katherine Erickson. Back row: Ali Doolittle, Hannah Strutz, Aby Pickett, Maggie Strehlow, Tori Kowalkowski, Kate Cook, Olivia Allen and Val Caylor.